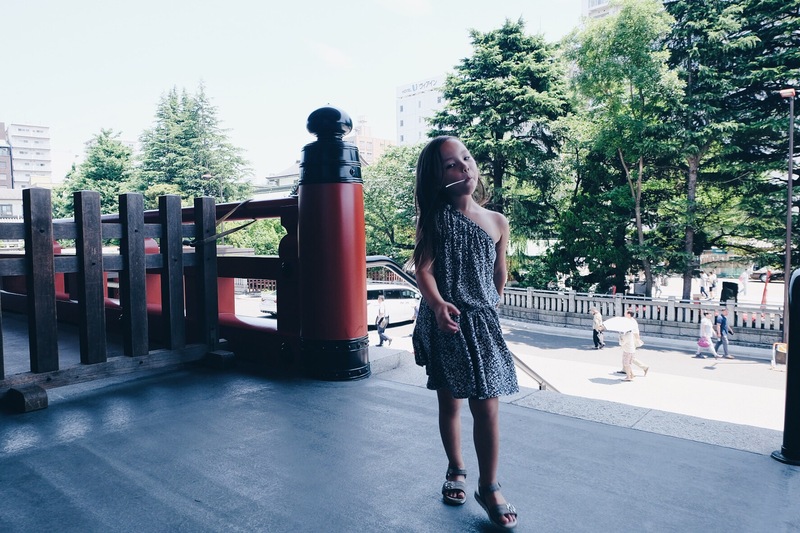 The legend says that in the year 628, two brothers fished a statue of Kannon (goddess of mercy) out of the Sumida River, and even though they put the statue back into the river, it always returned to them. 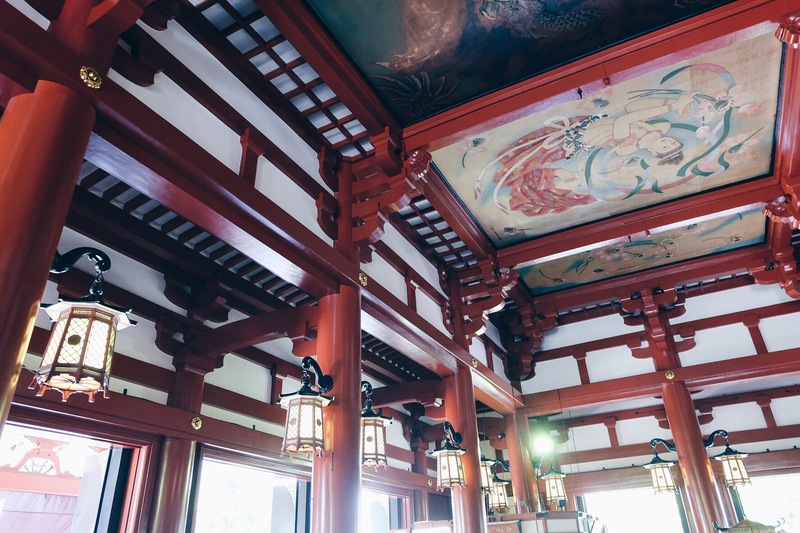 The temple for Kannon was completed in 645, making it Tokyo’s oldest temple. 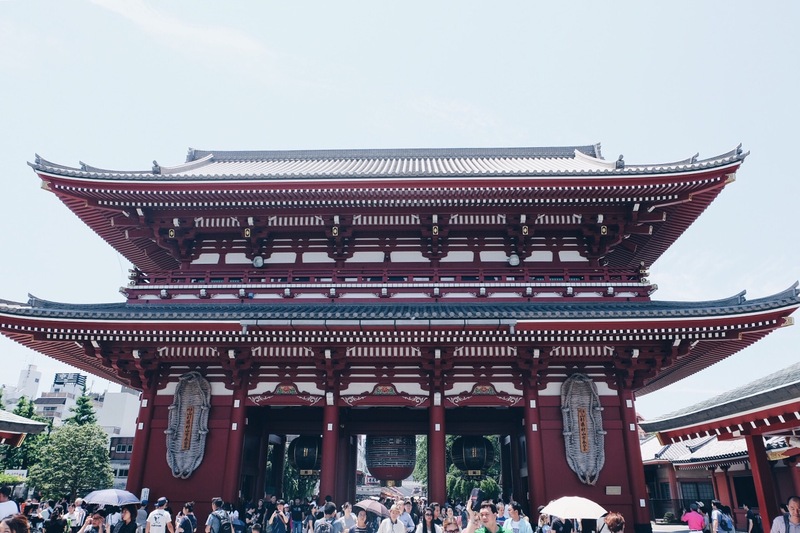 The Senso-Ji temple is one of Tokyo’s most colorful and (very) popular temples. 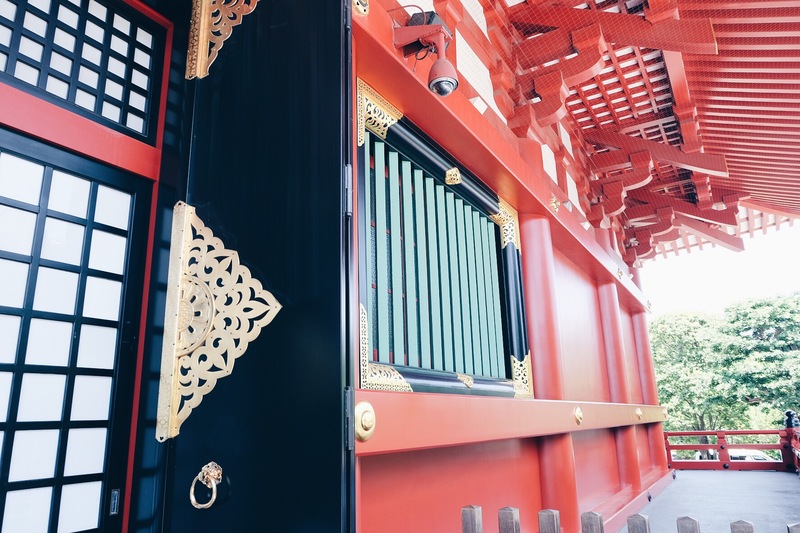 When approaching the temple, we would first have entered through the Kaminarimon (Thunder Gate), the outer gate of Sensoji Temple and the symbol of Asakusa and the entire city of Tokyo. However the gate was unfortunately under construction, so we had to go around it instead. A narrow shopping street, called Nakamise, leads from the outer gate to the temple’s second gate, the Hozomon. Alongside typical Japanese souvenirs such as folding fans and various traditional local snacks from the Asakusa area are sold along the way. The shopping street has a history of several centuries.